Kim’s Convenience, playwright and actor Ins Choi’s heartwarming comedy about a Korean immigrant family, made it’s way to television screens via the Toronto Fringe Festival, repeated runs at the Soulpepper Theatre Company and stages across Canada. The CBC series premiered Tuesday, October 11, one week later than scheduled due to a Toronto Blue Jays wildcard playoff game. But if social media buzz is any indicator, the delay didn’t dampen the anticipation and enthusiasim fans had for the series. Kim’s Convenience tells the story of Appa (Paul Sun-Hyung Lee), a Korean immigrant who runs a convenience store in Toronto’s Regent Park neighbourhood. His wife, Umma (Jean Yoon) lends a hand at the store but mainly tries to help her children succeed in life. Janet (Andrea Bang), their daughter, is an arts college student who hopes to become a professional photographer despite her father’s wish that she eventually run the store. An incident when he was a teen means son Jung (Simon Liu) has moved out and father aren’t on speaking terms, despite Umma’s and Janet’s attempts at reconciliation. The debut episode, “Gay Discount,” highlights one of the series’ main sources of comedy: Appa’s struggle to understand the world in which he lives, in part due to a language barrier and in part due to his own cultural upbringing. The conversation between Appa and business rival, Mr. Chin, about the society’s changing attitudes towards sexuality highlights this. Kim’s Convenience sees the world through the lens of the Korean immigrant experience – a lens that makes for great comedy and must-see viewing. The second episode, “Janet’s Photos,” shows the second key source of humour, which no doubt comes from Choi’s own experiences growing up with immigrant parents: the gap between the expectations of the parents and the children. When Jung decide to apply to be the assistant manager at the car rental office where he works, Umma tries to bribe his boss to turn down the application so Jung can pursue a more suitable career. The main cast, anchored by Lee, is outstanding. Lee has played Appa in every incarnation of Kim’s Convenience since the original Fringe production and it shows. The depth in Lee’s portrayal of Appa comes to the fore in one particular scene: Janet has fooled him into visiting Jung’s workplace. While there, he sees a poster of the staff, in which he sees Jung. With one brief look, viewers see a father’s pride, a longing for reconciliation and a resolution to wait for Jung to make the first move – a look by Lee that sums up the father’s and son’s whole relationship. Yoon, as Umma, while misguided at times – like trying to convince Janet to find a “cool Christian Korean boyfriend” – cares deeply for her children. Bang’s Janet, wants to respect her parents, while carving her own path in the world. And Liu’s Jung, trapped by his past, is content to enjoy life on his own terms. If there was any flaw in the first two episodes it came from some of the supporting character’s who seemed to lack depth. Hopefully this be resolved as the series progresses. While Kim’s Convenience is rooted in the immigrant experience, it also seems to transcend that experience. The struggle to understand a changing world and bridge the generation gap are common issues in all cultures. Kim’s Convenience happens to look at it through the lens of the Korean immigrant experience – a lens that makes for great comedy and must-see viewing. 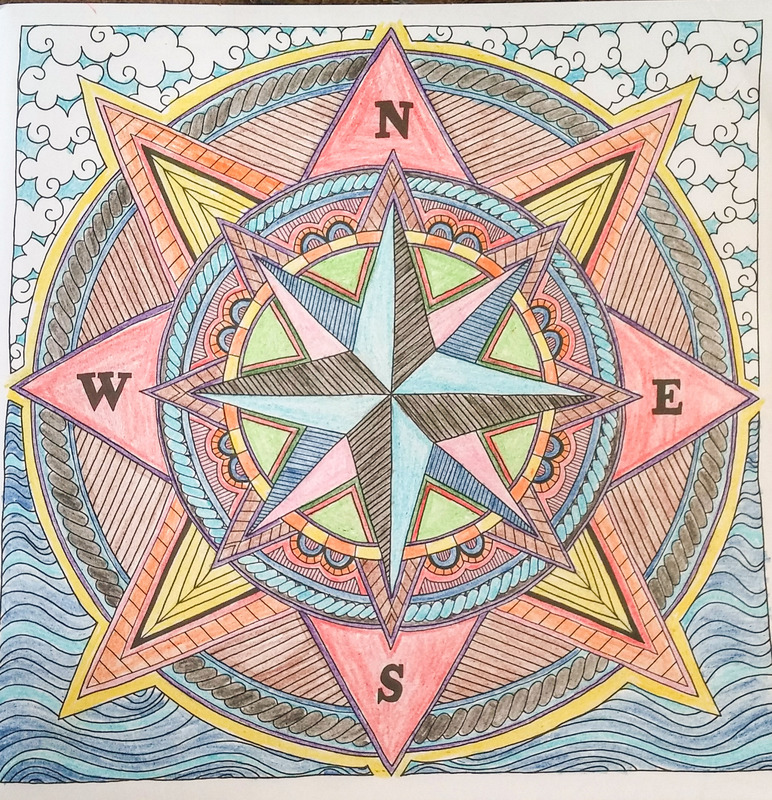 I quickly learned, however, that Restore My Soul: a coloring book Devotional Journey is more about colouring as a spiritual exercise than it is about staying within the lines. 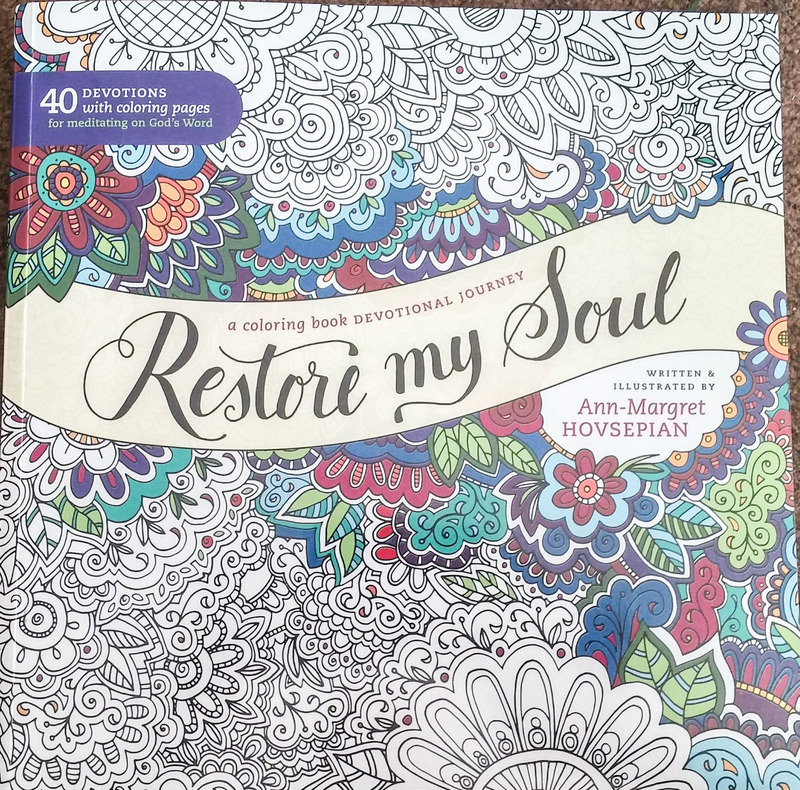 Restore My Soul combines two passions of its creator, Montreal author – and now illustrator – Ann-Margret Hovsepian. In 2006, Hovsepian was part of the team, as editor and conceptual designer, that created Blossom: The Complete New Testament for Girls Biblezine. The success of that project led to three devotionals for teenage girls: The One Year Designer Genes Devo, Truth & Dare: One Year of Dynamic Devotions for Girls and Truth, Dare, Double Dare: Another Year of Dynamic Devotions for Girls. Those friends, she writes in her blog, “encouraged (me) to get serious about doodling – one of my many hobbies.” But she didn’t want to create just another colouring book. The idea of pairing a devotional with an illustration, and making the act of colouring a spiritual exercise, caught the attention of Tyndale House Publishers. Hovsepian’s drawings range from pictoral depictions, such as the compass on the right (which was the first drawing I coloured). to abstracts. There’s something for everyone, both in the devotional messages and prompts and in the illustrations. What’s attractive about Restore My Soul is that you don’t have to start at the beginning and work your way to the end. Each devotional and illustration pairing stands on their own, allowing the reader to choose a topic or picture depending on their own spiritual needs. One piece of advice Hovsepian does offer is: “read the devotional before colouring.” The scripture verse(s), devotional and prompts will provide you with enough spiritual fodder to chew on while colouring. And what’s interesting is, if you’re anything like me, it may take more than one colouring session to complete the drawing. And you may find yourself meditating on an element of the devotional completely different than you did the first time. As for colouring outside the lines? I don’t worry about it as much any more. 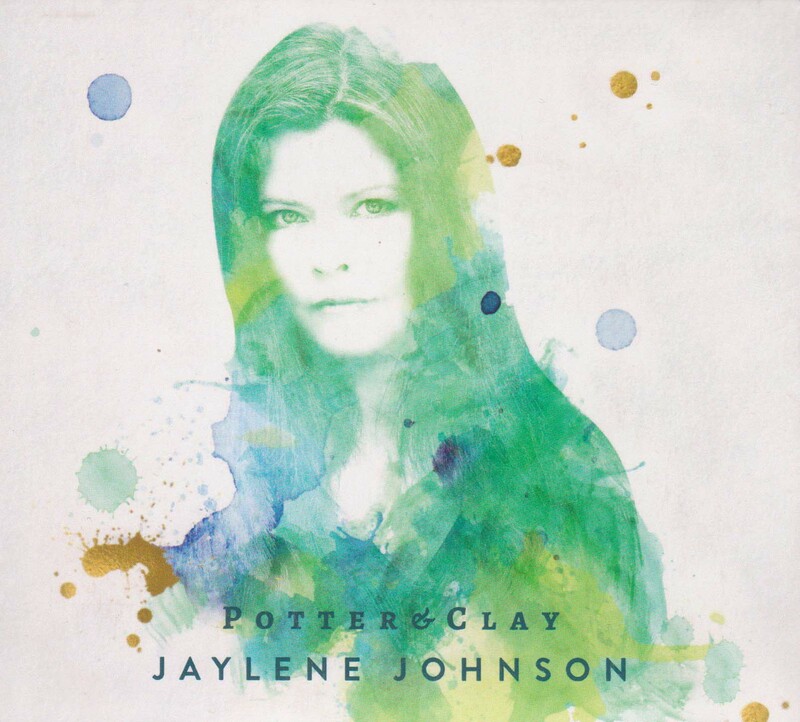 After a summer hiatus and a busy beginning to fall, the Arts Connection blog is back with a look at Winnipeg singer/songwriter Jaylene Johnson’s new CD Potter & Clay. While Johnson’s name may not be recognized by some, she’s been writing and recording music since 1999, received five GMA Covenant Award nominations and a Western Canadian Music Award Nomination. But, since 2004 she’s faced a number of challenges including a head-on accident on the TransCanada Highway and the near-loss of her voice. Potter & Clay puts into song the lessons she’s learned through those trials and tribulations. Potter & Clay is probably one of the most introspective CDs I’ve heard in recent days. 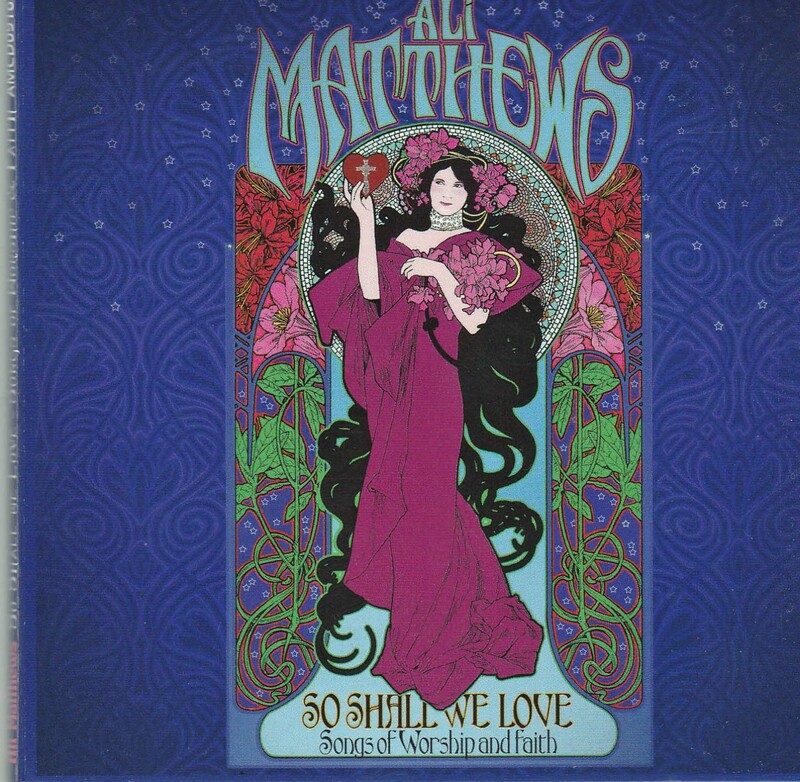 It’s probably one of the most introspective CDs I’ve heard in recent days, leading off with lyrics like “There are things I’ve done I never should’ve done/Things I’ve said I never should have said” from the lead track “Fallin’. The introspection continues with songs like “How Long” (“Who led me to this desert/Was it me or was it You/Am I being punished/For what I did or didn’t do”), “Find Us” (“Find us in our failures/Where we’ve been thrown back to the start/Find us as we question/All the things we used to know”) and “Pray, Pray Again” (“Pray when you’re troubled/Pray when you’re tired/Pray when you’re empty/Sad or uninspired”). But…underlying this introspection, which I suggest will resonate with most, if not all, of the CD’s listeners, Johnson portrays an overarching sense of hope and trust in God: “Fallin’ into the arms of mercy” (“Fallin'”), “I believe that You are faithful/All-knowing and all-wise/I’ve seen Your mercy moving/Through the corners of my life” (“How Long”), “Find us in the shadows/Find us in the dark/Find us in the corners/Where we don’t think You’d ever go” (“Find Us”) and “We don’t know when/But God’s gonna answer/ Pray, pray again” (“Pray, Pray Again”). What do you get when you throw together an investigative reporter, a university professor, a historian, Druids, Nazis, a host of alphabet agencies like the CIA and an ancient sacred artifact? 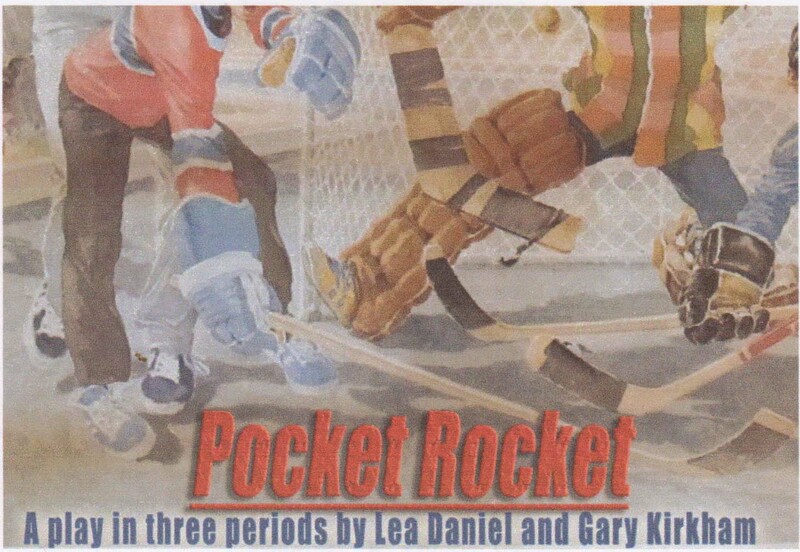 The Lucifer Scroll – the second book in Midland, Ontario author Barrie Doyle’s The Oak Grove Conspiracies. Doyle’s sequel to The Excalibur Parchment, literally starts with a bang when protagonist Stone Wallace becomes the subject of an assassination attempt. The suspense continues as readers are taken to Istanbul where historian and archeologist Huw Griffiths, searching through the rubble of a long-forgotten church, discovers clues that may lead to the discovery of the Holy Lance, the spear that pierced Jesus Christ’s side. Griffiths’ daughter, history professor Myfanwy (Mandy) – who gains an assistant that she doesn’t want – and the two men are drawn into an adventure of intrigue that leads them, individually and together, to Niagara Falls, Georgian Bay, New Mexico, England, Austria and Wales. Along with their allies, the trio find themselves pitted against modern-day Druids and, at one point, Nazis, dodging the real and spiritual weapons aimed at them in the race to find the scroll that will lead to the lance. 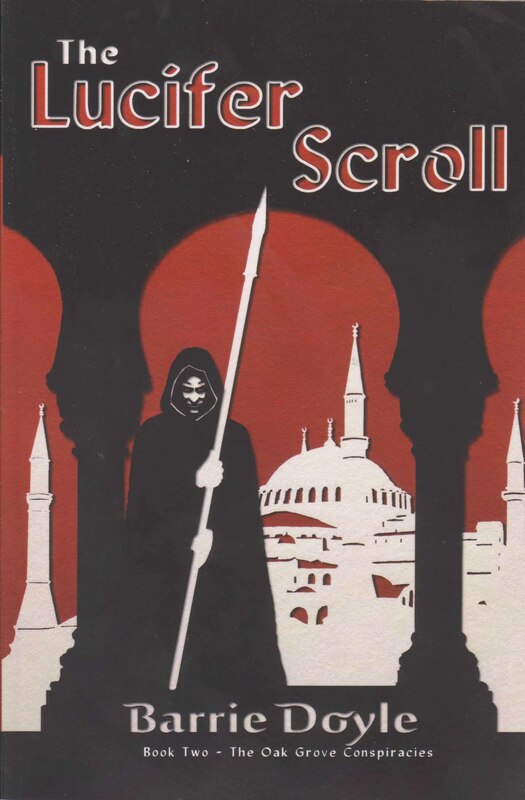 I’ve been reading a lot of mystery and suspense novels lately and The Lucifer Scroll was one of the most readable of the bunch (second only to a couple of Ian Rankin novels). The Lucifer Scroll begins with an explosive opening and the action doesn’t let up until the end. Even when Lord Greyfell and his wife, Nees, are brought in to explain the spiritual danger of the Druids, Doyle imbues the expositional material with an urgency reminiscent of Frank Peretti’s This Present Darkness. Like most books in a series, it may help if you’ve read The Excalibur Parchment, especially as it relates to the relationships between Huw and Mandy Griffiths and Stone Wallace. But there’s enough backstory in The Lucifer Scroll that it can be read as a stand-alone book. What Doyle has excelled at is crafting a tale of intrigue that incorporates temporal and spiritual battles that seem to transcend time. He creates a story where evil is evil, good is good and you have to read to the end of the book to find out whether good or evil wins – even if it means you end up staying up until the wee hours of the night to find out. A number of my writer friends have been fans of, or influenced by, the works of Frederick Buechner, an American writer, theologian and Presbyterian minister who has published more than 30 books. I’d yet to dive into Buechner but had him on my someday-read list. A recent conversation with storyteller Brad Woods prompted me to shift Buechner to my to-read list. 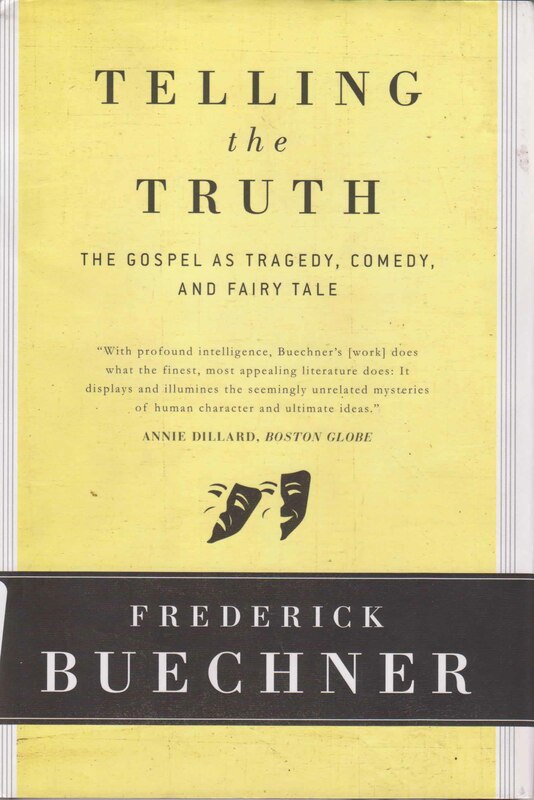 Brad and I were talking about a new play I’d been working on and he suggested a read through Telling the Truth: the Gospel as tragedy, comedy and fairy tale would be helpful. 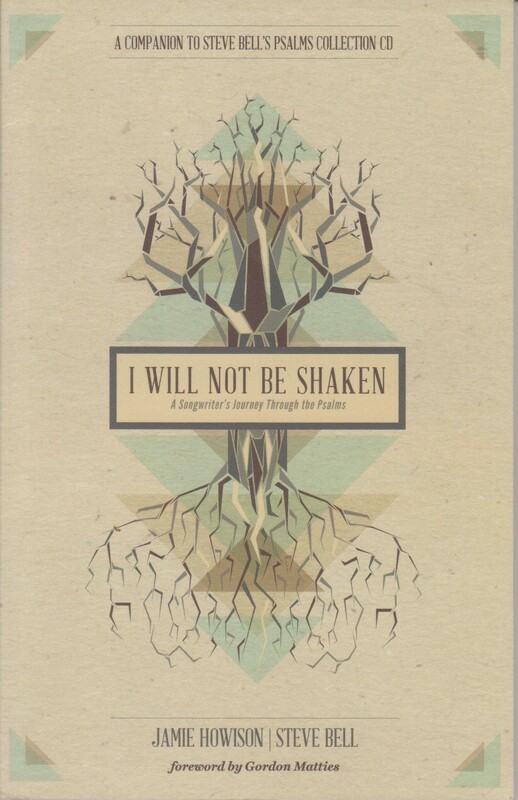 The I Will Not Be Shaken collection provides an insight a songwriter’s creative process and a whole lot more. The project has been in the works for a number of years, beginning with conversations between Bell and Jamie Howison – the pastor at St. Benedict’s Table, which Bell attends. An expression of the Anglican Church, St. Benedict’s Table features a strong emphasis on the arts and social justice. I Will Not Be Shaken simmered on the back burner of both men for a while before it finally came together and was released in 2015. I Will Not Be Shaken has two components. 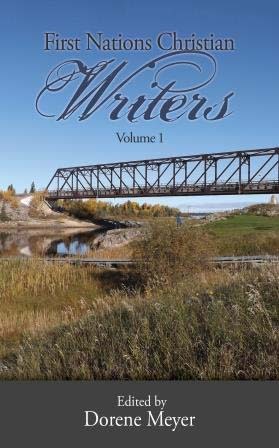 One is a book co-written by Howison and Bell. Each chapter is based on one of Bell’s songs and begins with Howison’s theologicical and personal insights into both the Psalm and the song. While not theologically complex, Howison’s reflections are deep enough to frequently warrant a re-read, so his perspective can take root. 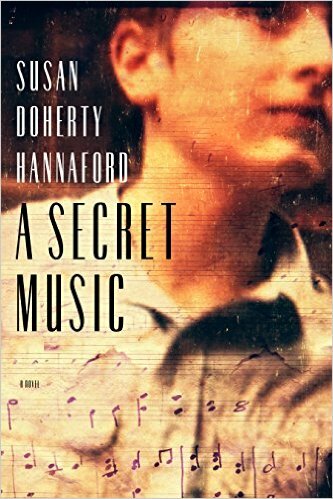 While the reader digests Howison’s offerings, the chapter changes voice and Bell provides an insight writing the song. Here Bell describes a turning point in his spiritual life: “The most profound disappointment of all was the unanswered request for a sense of God’s nearness that others reported, but which I didn’t experience. 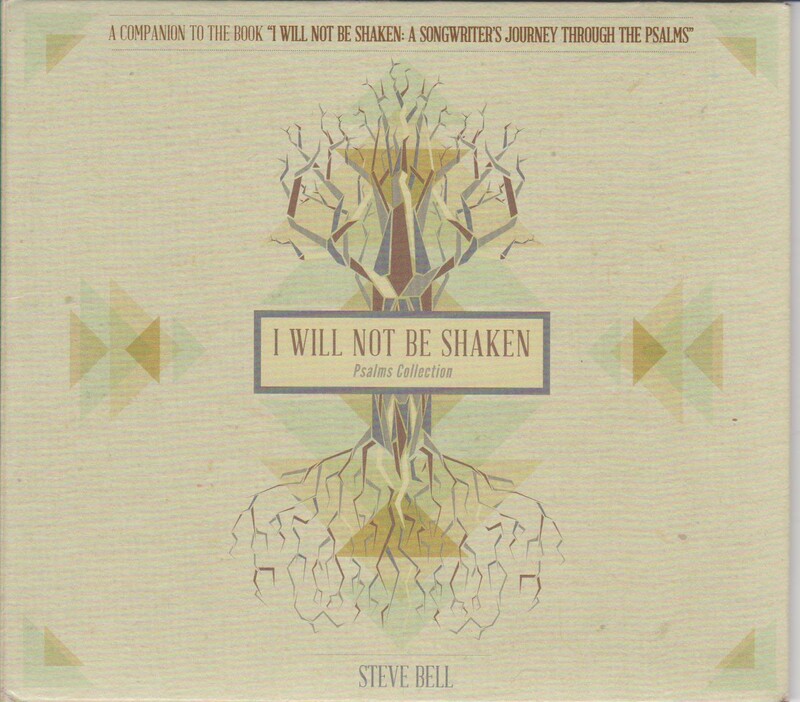 Speaking of Bell’s songs, the second component to the I Will Not Be Shaken set is a CD. It comprises all 17 of the songs Bell has written or co-written that are based on the Psalms. Anyone who’s followed Bell’s career has heard most, if not all of these songs. The only addition is the last song, “Psalm 70:1,” a Taize-style song Bell wrote for a course on contemplative prayer he co-led at Regent College. My only disappointment with the CD was the lack of musician credits in the lyric booklet (which does note the original album on which the song appeared). This is more of a personal peeve because I’m interested in who was involved in the production of the song (especially when I think I recognize a musician’s style and want to confirm it). I suspect, for many listeners, this won’t affect their enjoyment of the CD. I found reading Howison’s insights, Bell’s reflections and then listening to the song added to my enjoyment I Will Not Be Shaken. As I suspect Howison and Bell hope, I came away with a fresh appreciation and new understanding of the Psalms. You will too if you give I Will Not Be Shaken a read and a listen.